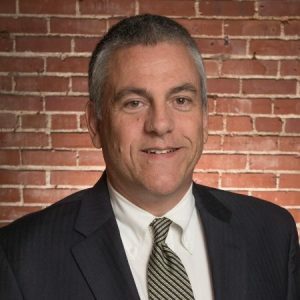 Blue Stingray announces partnership with Executive Director of St. Louis Makes, Marc Bowers, and our joint effort to bring revenue growth to manufacturing companies. Bowers is dedicated to teaching organizations best practices in business development, product management, and new product innovation. He has managed numerous product launches and has created several new distribution and dealer networks across diverse industry segments. Bowers held management positions at multinational companies such as Colgate-Palmolive, The Toro Company, and Purina, as well as ownership roles at several domestic manufacturing firms. He earned a Bachelor of Arts from the University of California and a Master of Business Administration from the Graduate School of Business at Columbia University in New York City. Blue Stingray and Marc Bowers are partnering on several manufacturing initiatives to provide better service to our clients. Blue Stingray specializes in development and implementation of software tools tailored for manufacturing processes including Enterprise Resource Planning (ERP), Material Requirements Planning (MRP), e-commerce, and online B2B ordering tools. Bowers has the necessary experience and knowledge of best practices in manufacturing that will help deliver profitable revenue growth to our clients seeking to grow sales. Before a company implements an ERP or a new software system, it needs to define and document solutions for every aspect of their entity. Some companies run loosely-defined systems which negatively affect their productivity. These productivity issues will persist with or without a software solution. Bowers will help our clients overcome these challenges and enable Blue Stingray to implement technology solutions to meet specific manufacturing needs.